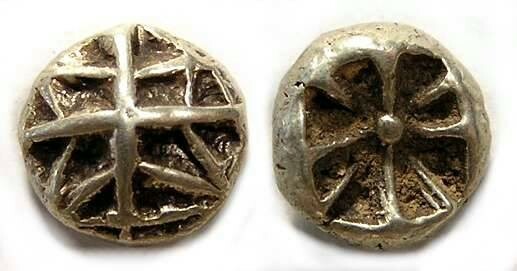 Archaic Greek - electrum geometic 1/12 stater. late 7th to early 6th century BC. Denomination : electrum 1/12 stater. Size : 7.7 x 8.0 mm. Weight : 1.12 grams.